আজীবন জীবন যাপন (Aajivan Jivan Yapan), by মনোজ কুমার দেবনাথ (Manoj Kumar Debnath). Had a tough time researching this, but it appears to be a lifestyle book about approaches to living/thinking? Leave a comment if you can translate this for us! 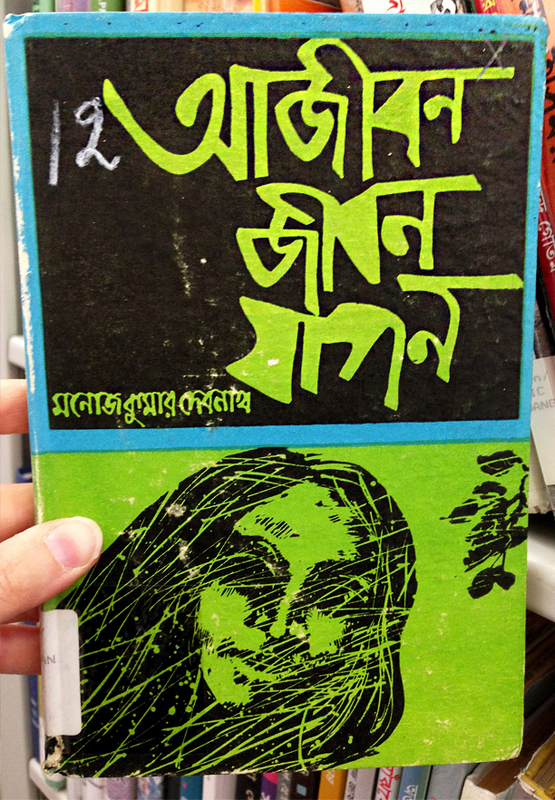 I am loving the filled-in counters of Va, Ya, and Pa, (ব য প) and the way the Ja (জ) cuts across itself. Rough, gestural lettering like this is always my favorite approach! Gotta love that contrast.